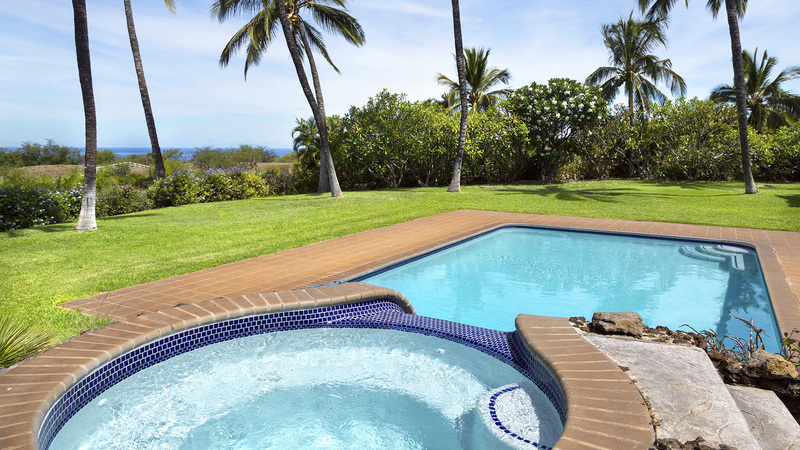 A once-in-a-lifetime vacation experience awaits you at this stunning oceanfront estate in Waimea on the Big Island of Hawaii. 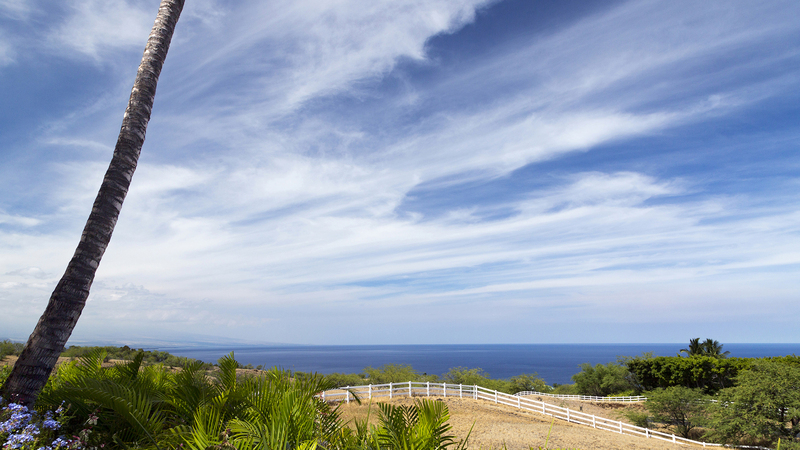 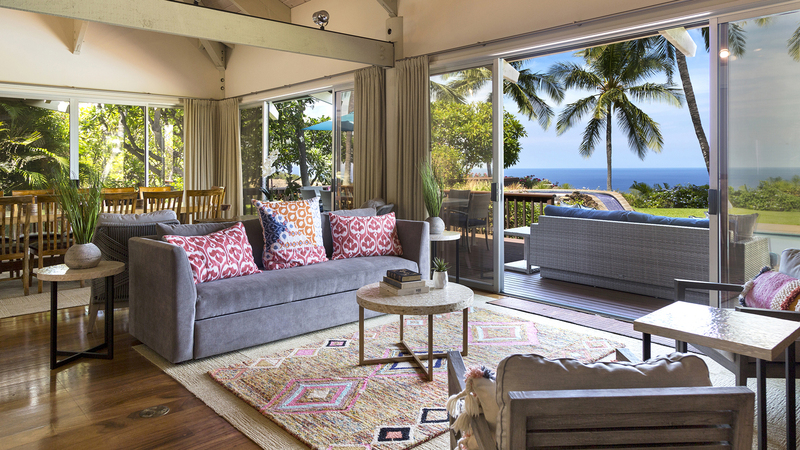 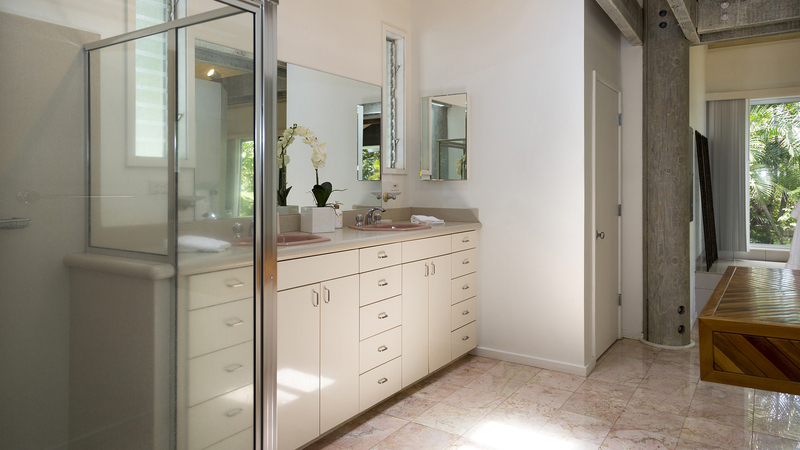 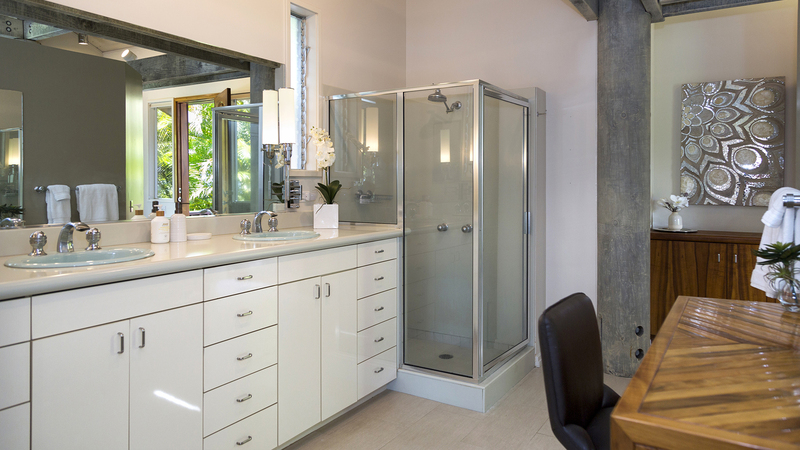 Traditional island architecture meets modern lifestyle in the Kohala Ranch home. 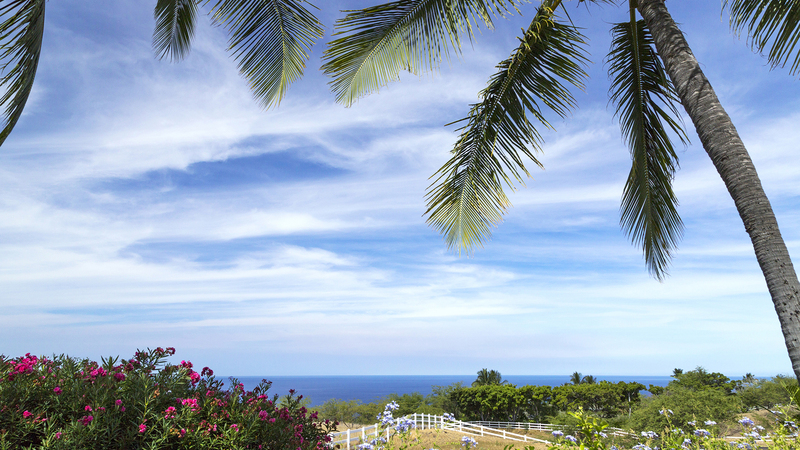 The Big Island vacation rental spans three acres in total, with professionally landscaped lawns and breathtaking coastal views. 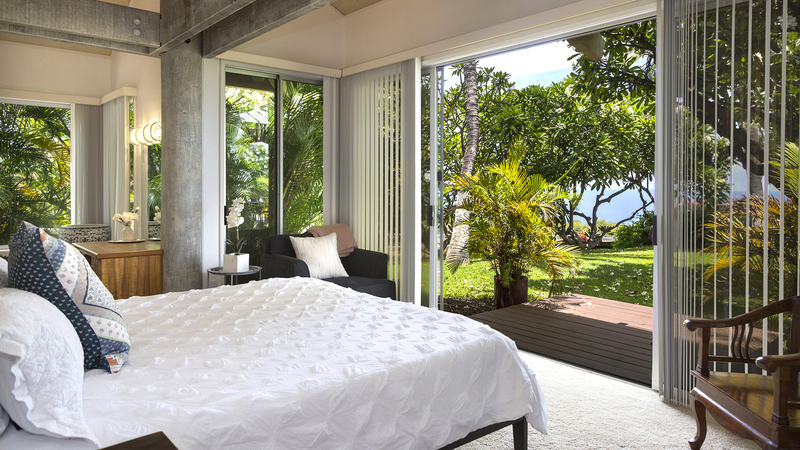 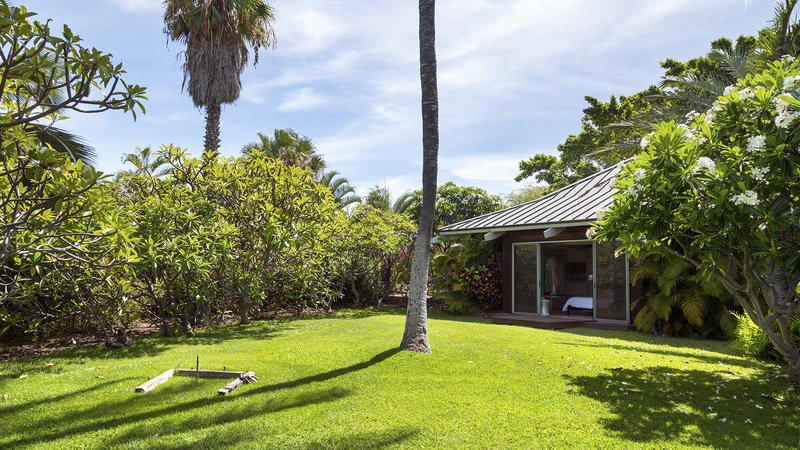 Enter through the palm tree-lined driveway and immediately be surrounded by your private paradise in Hawaii. 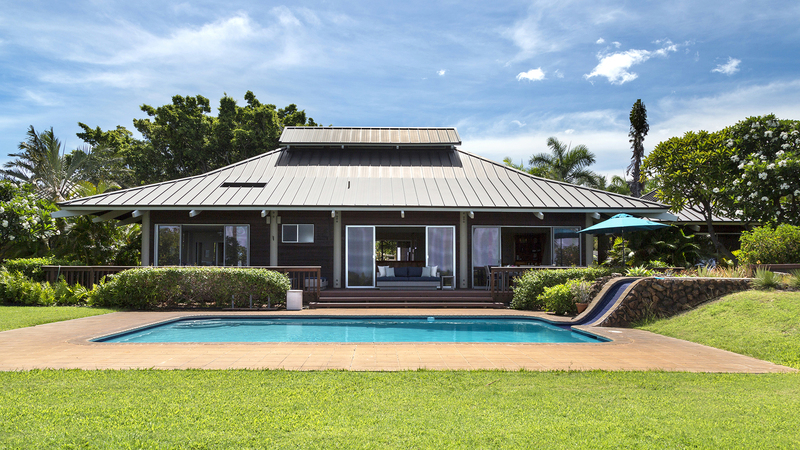 As you enter the main house, you’ll be awed by the two-story vaulted ceilings, gleaming Koa hardwood floors and open concept great room. 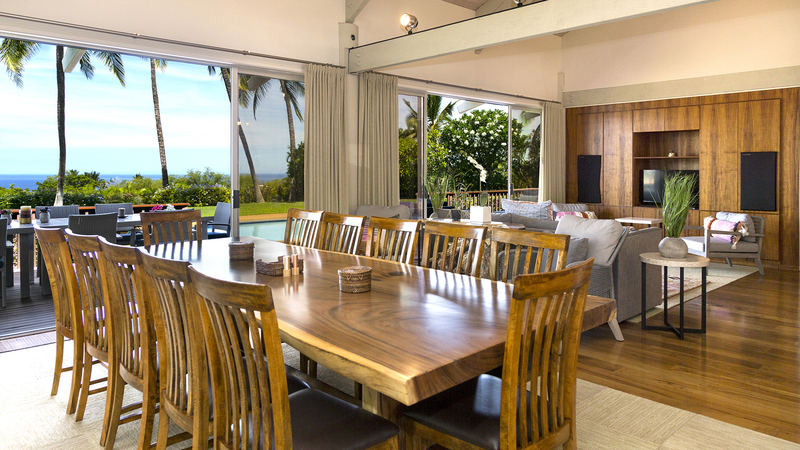 Ceiling fans, plus the constant tradewinds, provide cooling air flow in the great room area. 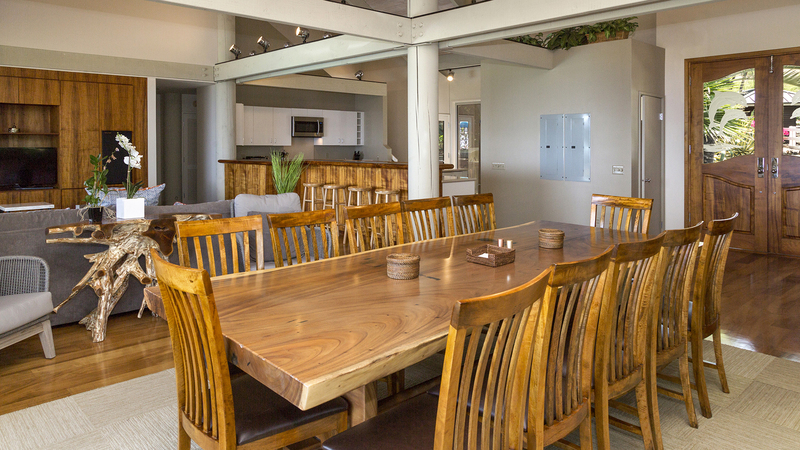 The expansive living room space offers seating for a group, centered around a flat screen TV. 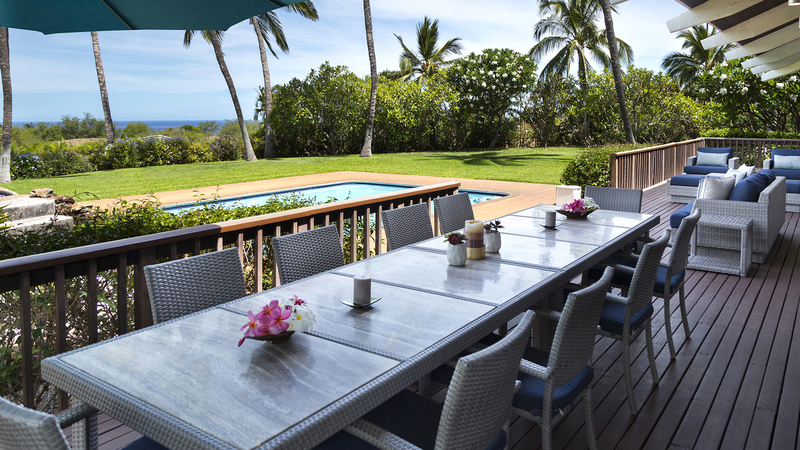 The dining table seats up to 12 guests. 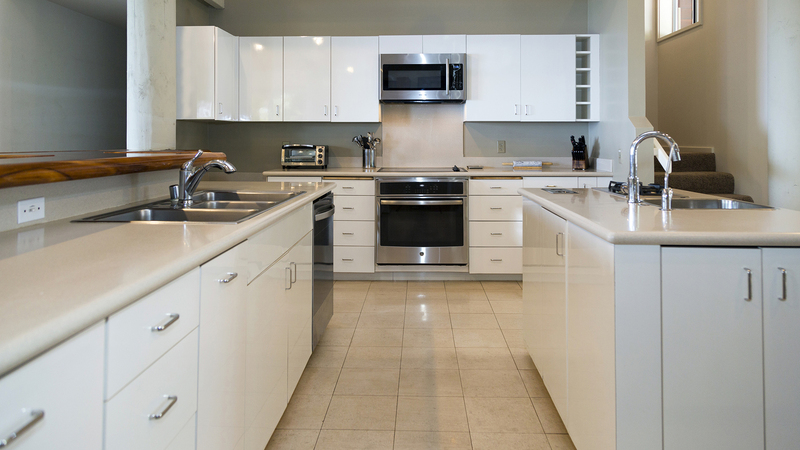 The large chef’s kitchen is fully equipped with upgraded appliances to provide anything from simple snacks to full meals for the group. 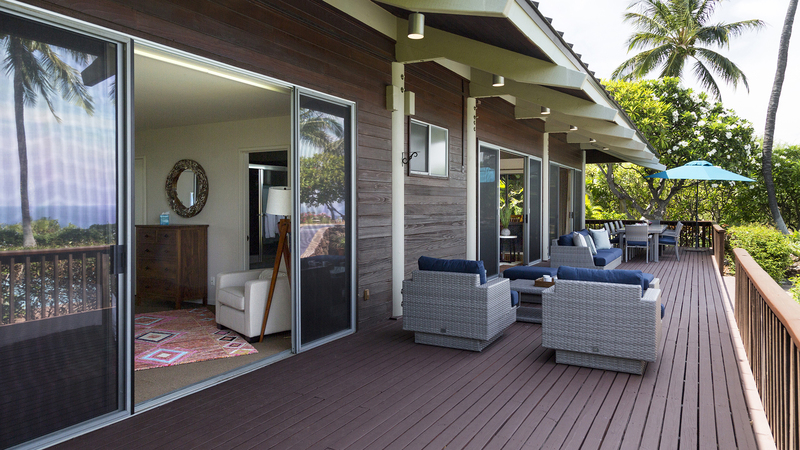 For guests that prefer to spend as much of their vacation outdoors, the great room leads directly to the west-facing deck that spans the rear of the house, providing outdoor dining and lounging options. 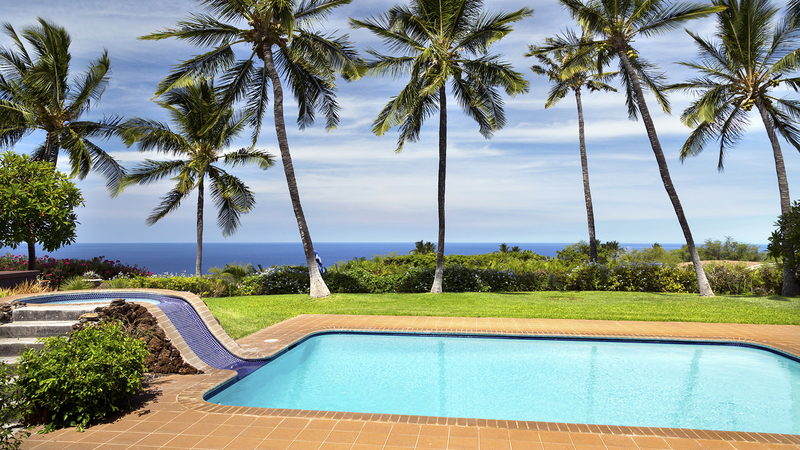 A newly renovated pool overlooks the deep blue sea and offers much-deserved relaxation. 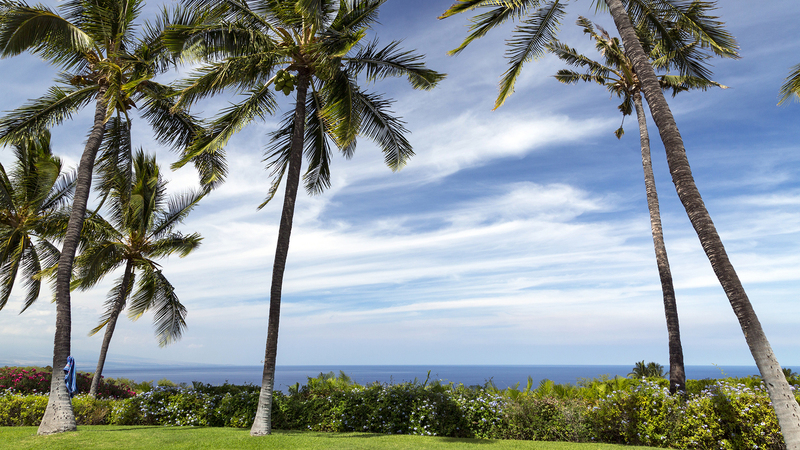 During the day, look out towards majestic Mauna Loa and the Kohala Coast to the south while waiting for the stunning Hawaiian sunset to the west. 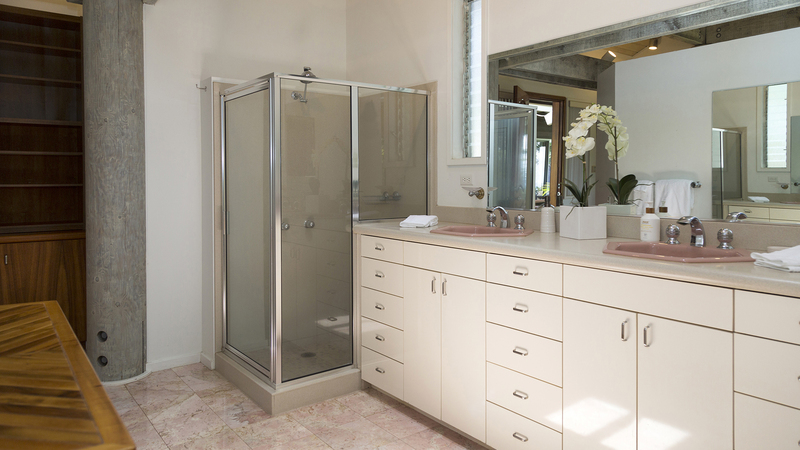 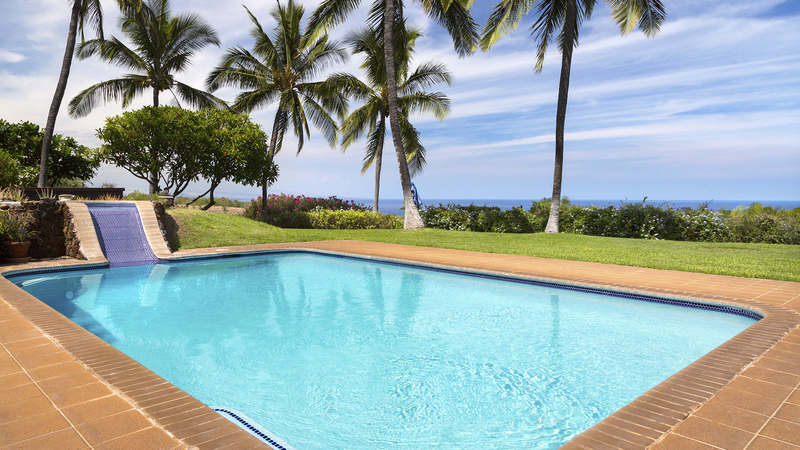 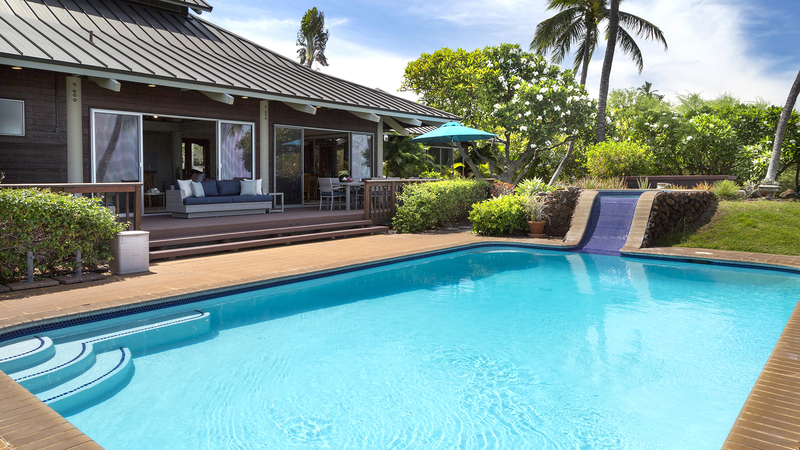 The oceanfront Waimea estate offers the ultimate in privacy and flexibility, with four separate on-site dwellings. 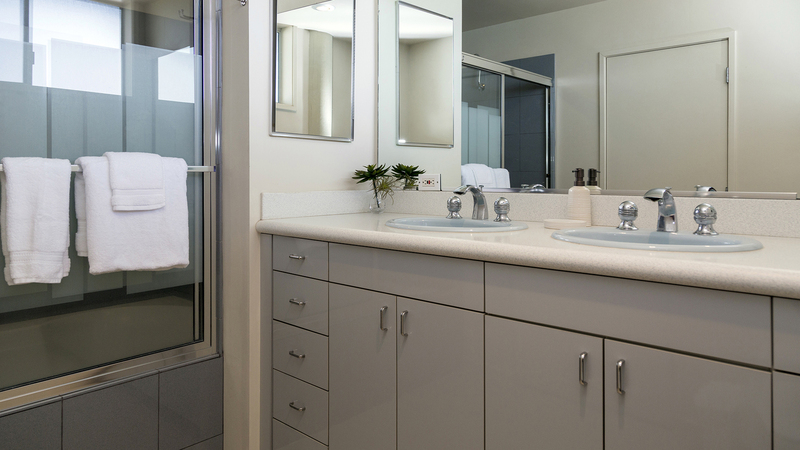 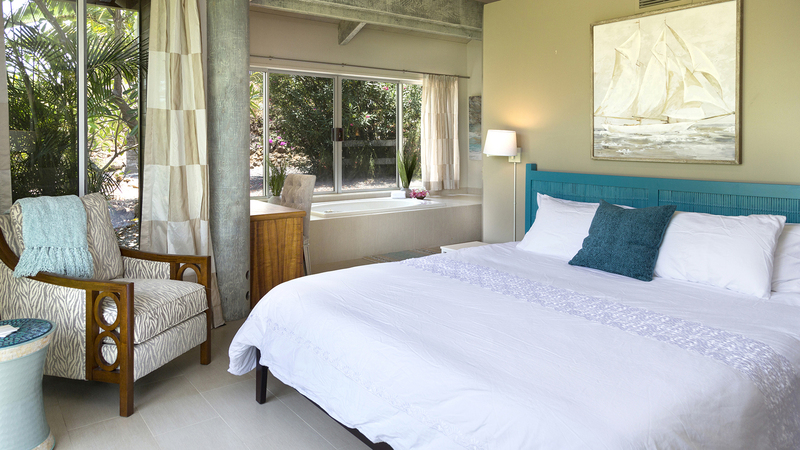 The main home features 3 bedrooms/3.5 baths, with air conditioning and en-suite bathrooms in each bedroom. 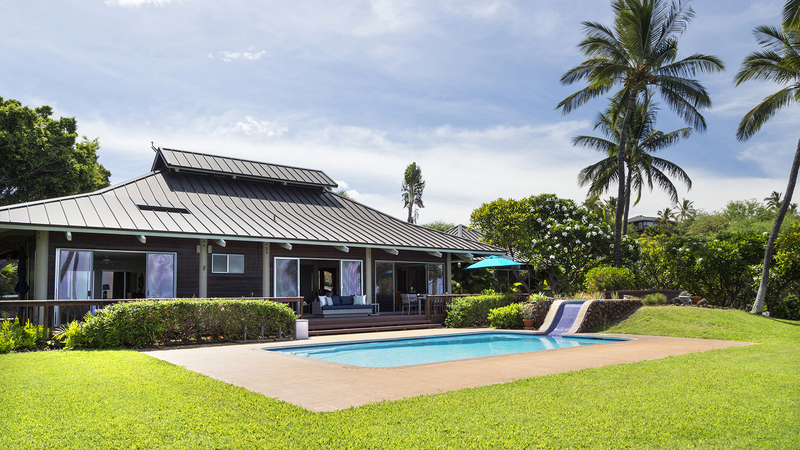 It is flanked on each side by an ohana (villa), each offering a master suite with sliding glass doors leading to an outdoor patio and the beautiful gardens. 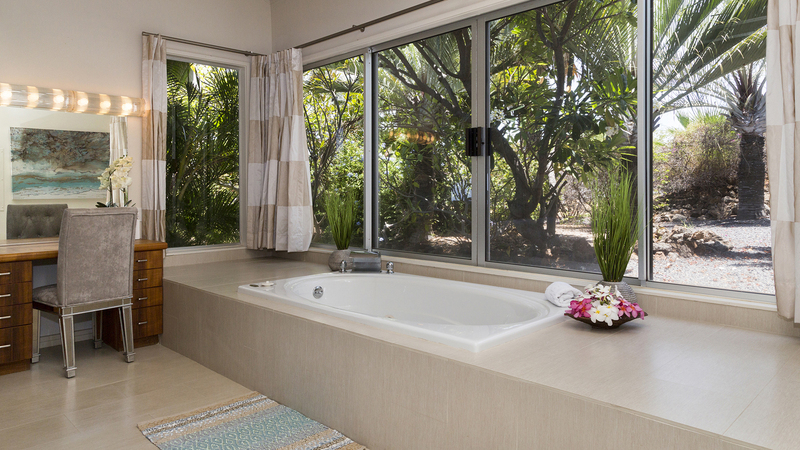 Each ohana has a jacuzzi tub and separate A/C. 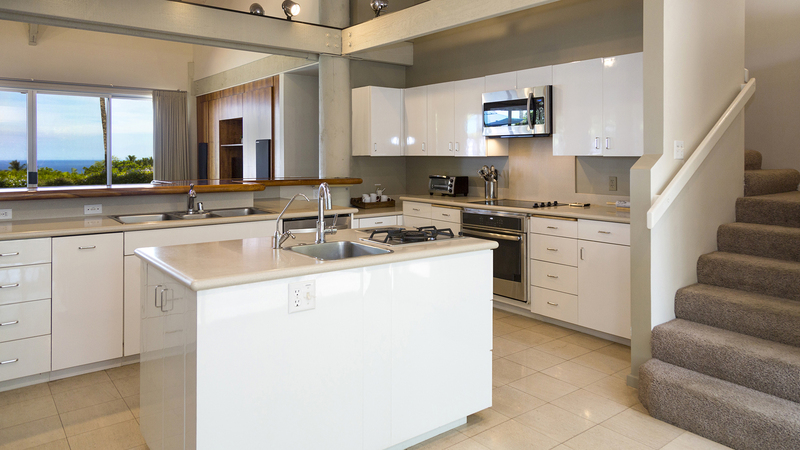 Finally, a detached garage apartment offers an additional living space with a kitchen, bedroom and bath, also with A/C. 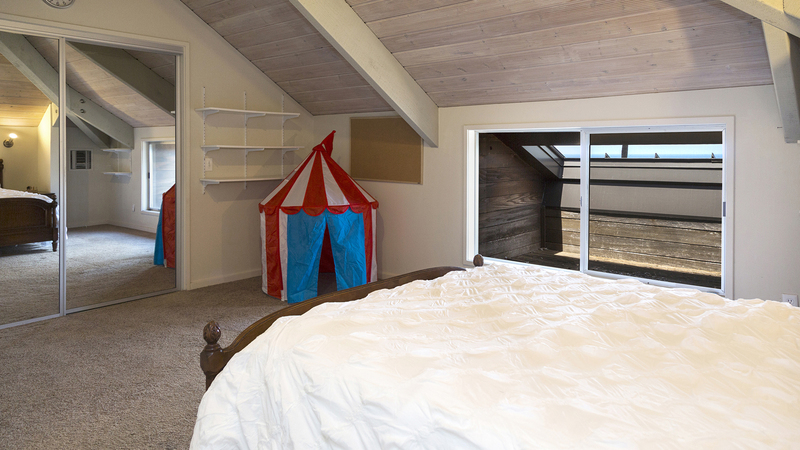 This property has a total of 6 bedrooms and 6.5 baths with a King or Cal King bed in 5 of the bedrooms. 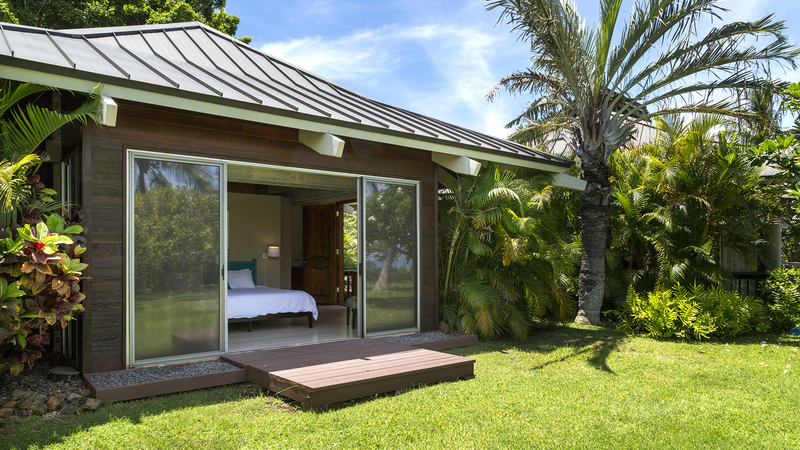 This is the ideal solution for a multi-generational vacation or retreat. 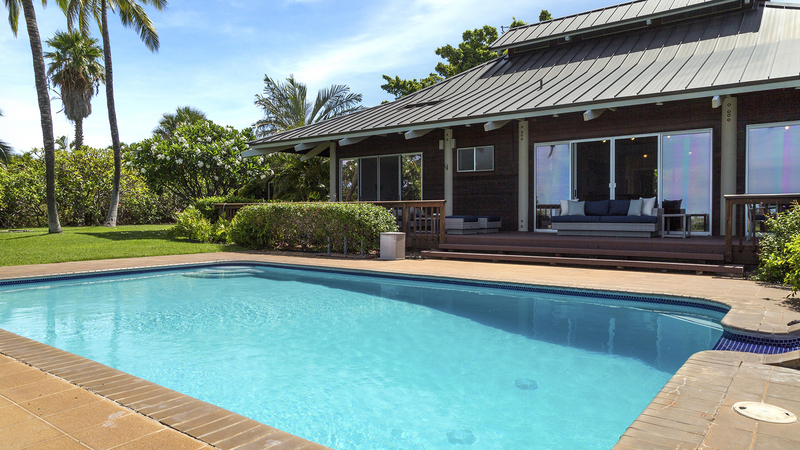 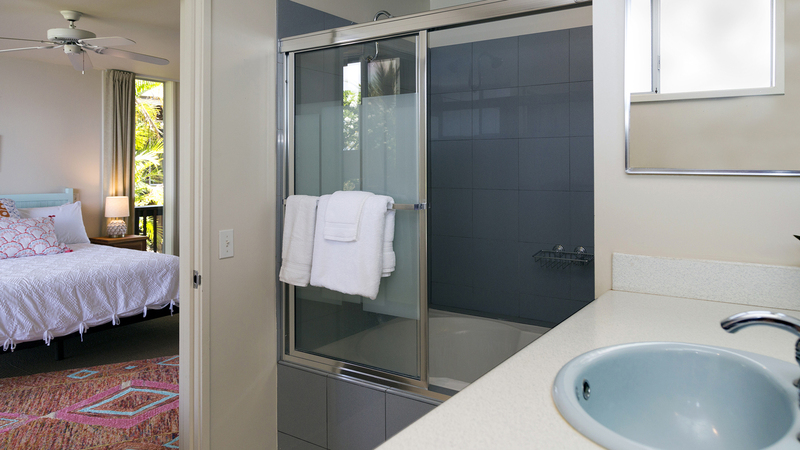 Allow us to welcome you to one of the Big Island’s best oceanfront rentals for a truly unforgettable Hawaiian vacation, amidst the sky, the sea and the stars.